In early August 2018, the director of America’s Financial Crimes Enforcement Network delivered a speech about the cryptocurrency industry’s obligations to fight financial crimes. But what is the agency everyone calls FinCEN? Why do cryptocurrency exchanges have to work with the agency? And which cryptocurrency exchanges are registered with FinCEN? Our guide to FinCEN and the crypto exchanges it regulates will help you understand how these crypto firms work with US law enforcement. Even if you’re new to the world of cryptocurrency and the blockchain, you’ll have heard people call blockchains “trustless” systems. The beauty of Satoshi Nakamoto’s innovation is its ability to transfer huge sums between users without requiring anyone to trust anyone else. This stands in stark contrast to the fiat world, where trust is everything. After people lost trust in banks during the Great Depression, governments created deposit insurance programs to protect depositors’ money. Shareholders need to trust the companies they invest in, so governments require quarterly and annual financial reports. FinCEN’s role in the trust-based financial system is to ensure people and companies who move money around are not doing it to help terrorists and other criminals. As part of the US Department of the Treasury, FinCEN’s role is to combat the misuse of America’s financial system and to be the government’s clearinghouse for financial intelligence. The Illinois Institute of Technology recently hosted the 2018 Chicago-Kent Block (Legal) Tech Conference to foster a conversation about “the complicated issues that affect the crypto-landscape,” especially the legal issues. Kenneth A. Blanco, the director of FinCEN, closed the conference with a fireside chat about crypto regulation and enforcement. Blanco recapped his agency’s responsibilities and its role in a trust-based financial system. One of the ways FinCEN performs its duties is by integrating money services business into the government’s tracking of the financial system. Banks, mortgage brokers, casinos, securities exchanges and other companies involved in handling money must register with and share information with FinCEN. Notice that none of those options specifically reference crypto or government officials’ term for it, “virtual currency”. That’s because crypto falls under a 2011 update to FinCEN’s regulations. The update clarified the definition of “money transmission” to include the transfer of any store of value that substitutes for fiat currency. Anyone or any business that transfers value is a money services business (MSB) and must comply with FinCEN regulations. Crypto may not have been on FinCEN’s radar at that time, but two years later the regulator issued a Guidance Letter clarifying crypto’s status. The letter stated that “virtual currency either has an equivalent value in real currency, or acts as a substitute for real currency.” As such, the exchange or transfer of virtual currency would trigger the money transmission definition of an MSB. The letter also distinguished between users, who are not MSBs, and administrators or exchangers who are. Whether you’re a global crypto exchange operating from Malta or a Boston-based seller in a peer-to-peer marketplace, doing business with Americans makes you an MSB. The only exemption is for banks, securities exchanges and commodity exchanges which register with other US agencies. Being an MSB comes with a number of obligations that you must meet to comply with FinCEN’s rules. An MSB must register with FinCEN within 180 days of being established. In addition, the MSB has to prepare supporting documentation, keep the documents on file for five years and conduct annual reviews to keep the documentation updated. FinCEN expects MSBs to record their business volumes and identify certain people involved in the organization. This includes identification of people with ownership stakes in the MSB and people who have controlling roles in the MSB. If the MSB has agents who can act on the company’s behalf, the MSB must maintain a list with information about the agents and the business they do for the MSB. FinCEN requires all MSBs to develop a formal program to comply with anti-money-laundering regulations. How extensive a program depends on the risk the MSB faces of being used to launder money. Documented policies, procedures and controls. Named compliance officer responsible for developing and executing the program. Regular training of relevant employees. Know-your-customer (KYC) processes are the most common form of AML procedures. “Strict customer identification and verification policies and procedures can be a financial institution’s most effective weapon against money laundering,” FinCEN explains. An MSB must provide information to FinCEN regarding suspicious activities. The suspicious activity reports (SARs) don’t just cover clearly illegal activity. Any transaction with no reasonable explanation would trigger a SAR. For example, an exchange should report a customer who suddenly makes a $20,000 trade after a history of making small transactions. When customers’ cash transactions are greater than $10,000 per day, the MSB must file a Currency Transaction Report (CTR) with FinCEN even if there’s no hint of criminal activity. Beyond reporting potential criminal activity, the MSB must also support FinCEN’s financial intelligence role by keeping records of mid-sized transactions. Criminals tend to avoid doing business with companies that keep records law enforcement investigators can trace. The MSB must keep a five-year record of currency exchanges greater than $1,000 and money transfers greater than $3,000. Since crypto exchanges are not regulated as securities exchanges, their activities fall under the definition of money transmission. That means any crypto exchanges doing substantial business in the United States must register with FinCEN. In addition to exchanges, a wide range of crypto companies fall under FinCEN’s purview. In his speech, FinCEN director Blanco pointed out that the mixer services that anonymize crypto transactions send and receive cryptocurrency. That makes them MSBs and ought to mean that they apply AML procedures. Blanco left unsaid the inherent disconnect created by an anonymization services’ obligation to know its customers. Out of the 100 top exchanges listed on CoinMarketCap, only 13 are registered with FinCEN. Keep in mind that CoinMarketCap does not track every exchange and some exchanges would be too small to show up on a Top 100 list. So do not take this as a comprehensive list. If your favorite exchange is FinCEN registered, share that in the comments. Also, some exchanges may be on the list even though they refuse to do business with Americans. Business reasons may have led some firms to register with FinCEN. Some exchanges take a pro-active approach to working with regulators. Of these, a few firmly believe the future of crypto depends on integrating with the regulated financial system. Others see the inevitable and play ball. For the rest, regulation is a (perhaps) necessary evil and the less said the better. Poloniex has had a rough time with its compliance measures. In 2015, the exchange registered with FinCEN and began collecting users’ information. 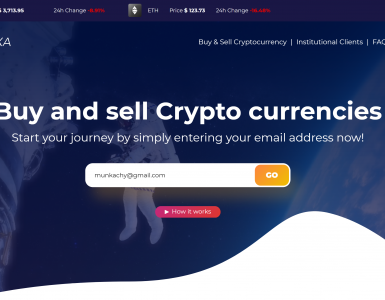 The resulting outcry spurred founder Tristan D’Agosto to post a letter explaining new KYC policies. By 2017, the rush of new traders onto Poloniex brought its KYC systems to its knees. Rumors of federal investigations were quelled in early 2018, however, when Wall Street-backed crypto-payments company Circle bought the exchange. Huobi’s American subsidiary, HBUS, posted a brief overview of its AML program. New York exchange Gemini provides a much more detailed explanation of its AML program. 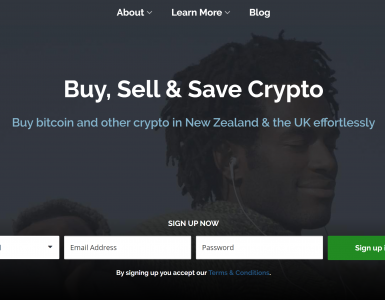 The exchange, founded by Cameron and Tyler Winklevoss, has always taken regulation seriously. While its founders do not publicly discuss FinCEN specifically, they made sure their exchange was among the first to get through New York’s arduous BitLicense process. As a warning of what happens when crypto firms do not meet their obligations, Blanco discussed the campaign against BTC-e. 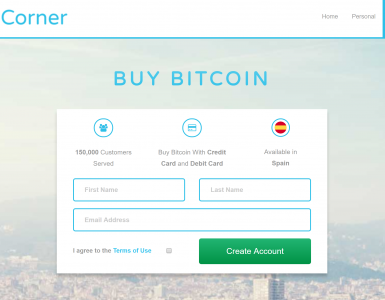 This foreign crypto exchange had many American customers, but did not register with FinCEN. Neither did BTC-e do anything to prevent illicit use of its services. As a result, BTC-e attracted “a customer base that included many criminals” and led FinCEN to take action. FinCEN and the Department of Justice went after one of the exchange’s administrators, Alexander Vinnik, who they accused of money laundering and playing a role in the Mt Gox hack. The US government fined BTC-e more than $110 million. If Vinnik ever gets extradited to the US from his Greek prison cell, he could receive a $12 million fine and more jail time. Blanco also praised crypto companies that cooperate with FinCEN by submitting more than 1,500 suspicious activity reports each month to the regulator. He cited these industry-provided reports as essential to the on-going efforts to stamp out black market opioid dealers. In 2017, FinCEN started a public-private information sharing program called FinCEN Exchange. Every two months, the regulator holds meetings in which financial institutions, law enforcement officials and regulators can exchange information. Government officials share the latest hot topics in anti-money-laundering and identify new patterns that corporate AML personnel should be aware of. Once a crypto company registers with FinCEN, however, it must actually meet its obligations. Over the past few years, FinCEN has worked with the Internal Revenue Service to examine more than 30% of the registered crypto MSBs. These are no different from the routine compliance examinations that traditional MSBs endure. The purpose of these compliance examinations is, in Blanco’s words, “to help illuminate weaknesses and strengthen protocols before a lapse occurs.” However, the examinations also catch companies that don’t take their responsibilities seriously. Registration with FinCEN has nothing to do with protecting investors from shady or incompetent exchanges, so why should crypto investors care? The answer: one of the things holding bitcoin and cryptocurrency back from widespread adoption is the fact that many people don’t trust them. Those hoping for a revival of crypto’s growth curve want financial institutions and mainstream investors to adopt cryptocurrency. That can’t happen as long as there’s an association between crypto and crime. This link is not something that the blockchain’s trustless technology can eliminate. Crypto exchanges that want to bridge the crypto and fiat worlds also must bridge the crypto and regulatory worlds. Companies that have registered with FinCEN are showing their willingness to raise crypto’s credibility in the eyes of both regulators and the traditional financial system. With credibility comes trust and with trust comes a fresh flow of investments into crypto projects.